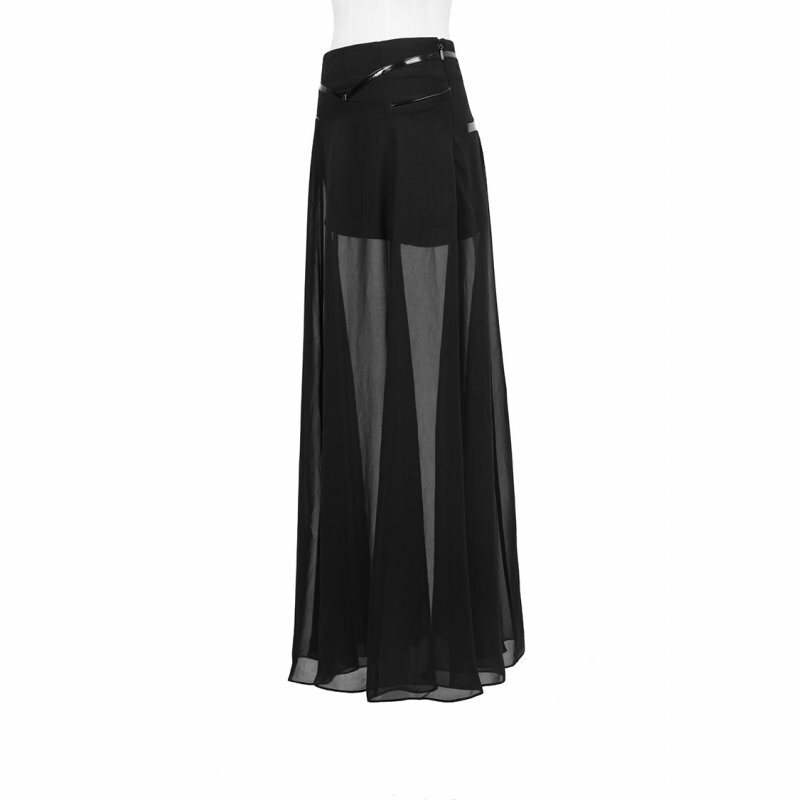 Long transparent skirt with shorts (sewn together). With contrasts in black vinyl. The regular price of this skirt was euro 55.95. Please note: the sizes of this skirt run small! Size S: waist 68/73 cm, hips 86/94 cm, length 96 cm. Size M: waist 74/78 cm, hips 92/98 cm, length 97 cm. Size L: waist 79/83 cm, hips 96/102 cm, length 98 cm. 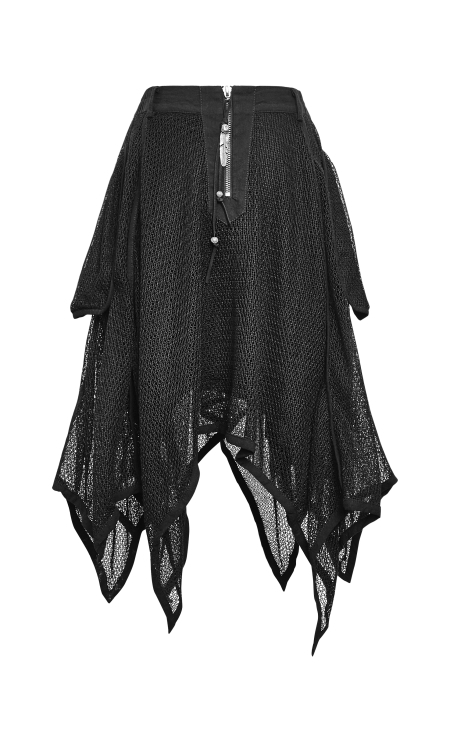 Size XL: waist 84/88 cm, hips 98/106 cm, length 99 cm.